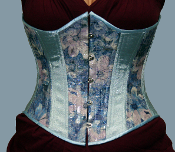 A two tone iridescent taffetta with rust over aqua. 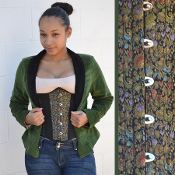 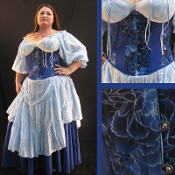 Comes with aqua irbbon to lace the back. 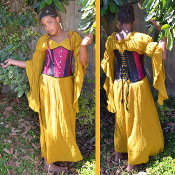 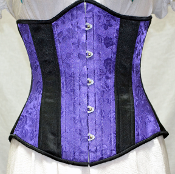 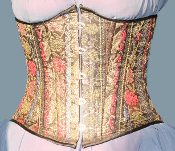 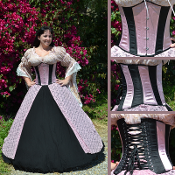 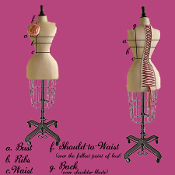 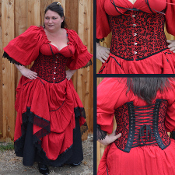 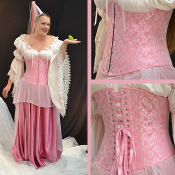 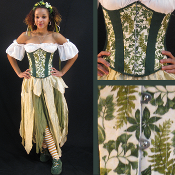 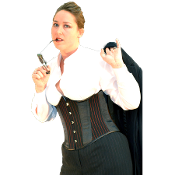 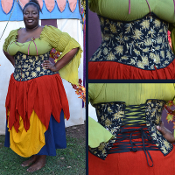 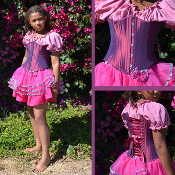 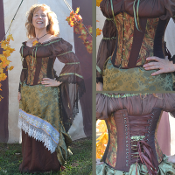 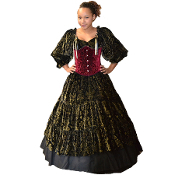 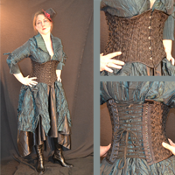 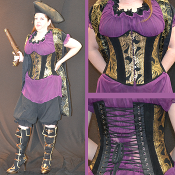 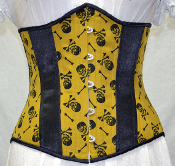 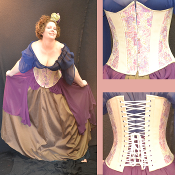 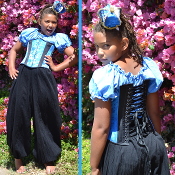 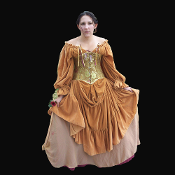 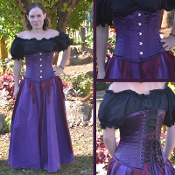 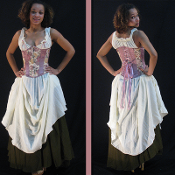 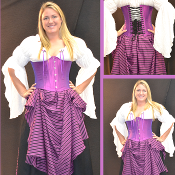 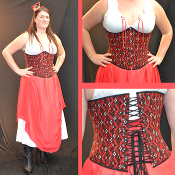 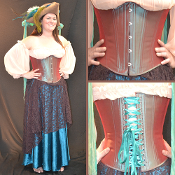 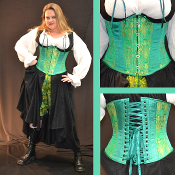 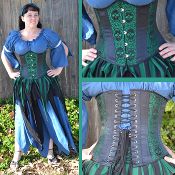 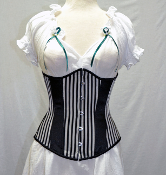 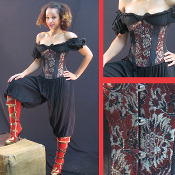 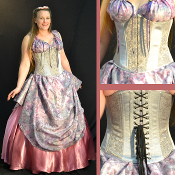 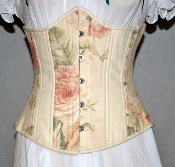 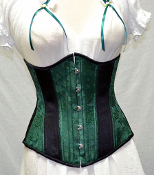 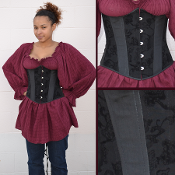 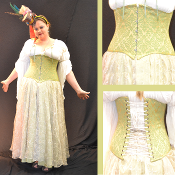 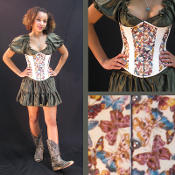 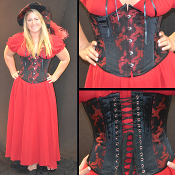 Black taffeta, embroidered fabric roses cover this corset. 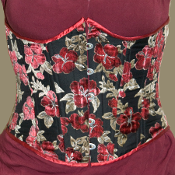 Black taffetta inlaid with red chinese dragons paneled with solid black silk.